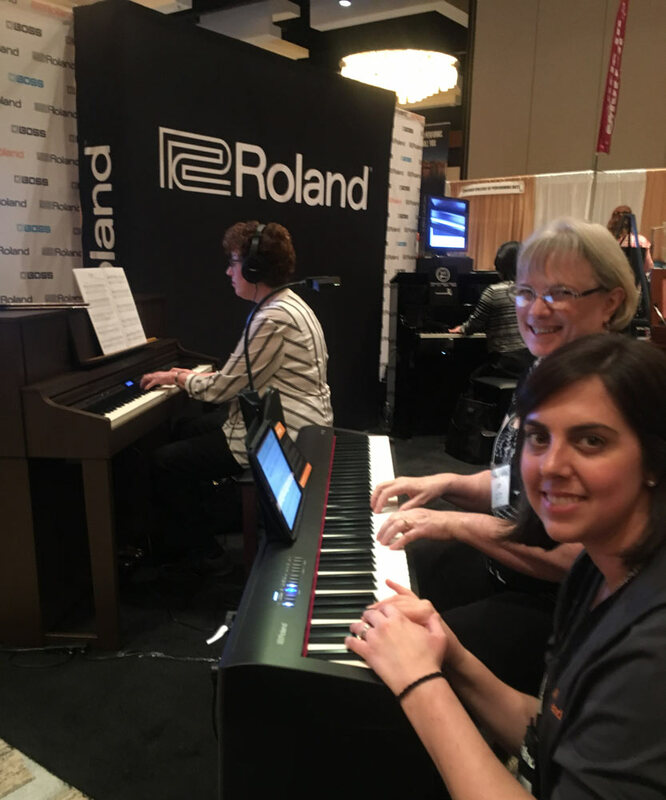 Educators who visited the Roland MTNA booth were able to experience the great sound, feel, and education features of our pianos and check out our latest accessory items. They also discovered how built-in Bluetooth technology assists students of all ages and skill levels with learning in the classroom and at home. Roland piano booth at the 2016 MTNA National Conference. The Bluetooth connectivity in the LX-17, LX-7, and FP-30 lets users easily integrate a favorite mobile device into the music-making process, offering the ability to access a wide variety of music learning apps, digital sheet music apps, and even online piano lessons. This convenience greatly enhances not only learning, but the enjoyment of playing as well. Roland designers incorporated this technology into the instruments in an affordable manner, keeping our pianos within the reach of aspiring players. Roland piano staff with Randall Faber (center) at the 2016 MTNA National Conference. One of the growing number of apps that can be used with a Roland piano with Bluetooth is the Piano Adventures Player from Faber Piano Adventures. The app provides easy access to interactive play-along accompaniments for the Piano Adventures method books, bringing an orchestra, jazz ensemble, and rock band right to your mobile device. At the Faber Piano Adventures booth, educators were able to work with the app directly from Roland piano models with Bluetooth. 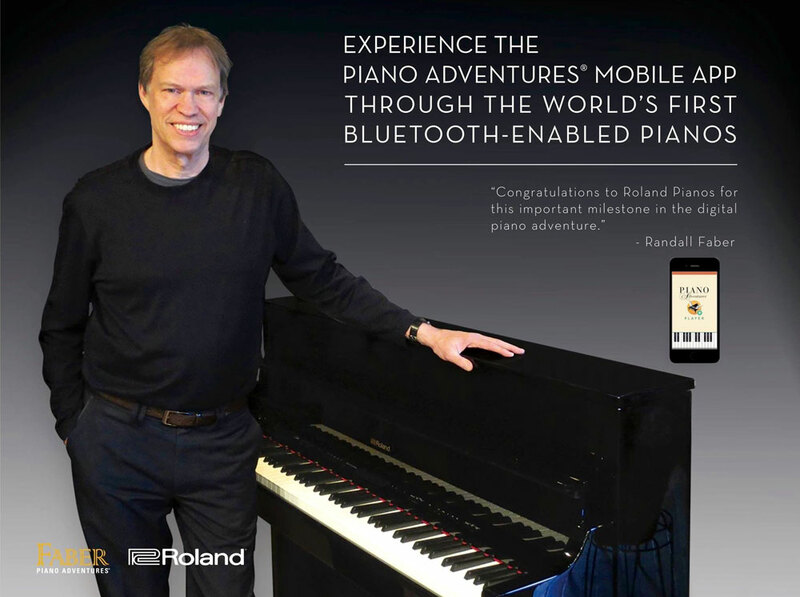 “Congratulations to Roland pianos for this important milestone in the digital piano adventure,” said Randall Faber, co-founder of Faber Piano Adventures. 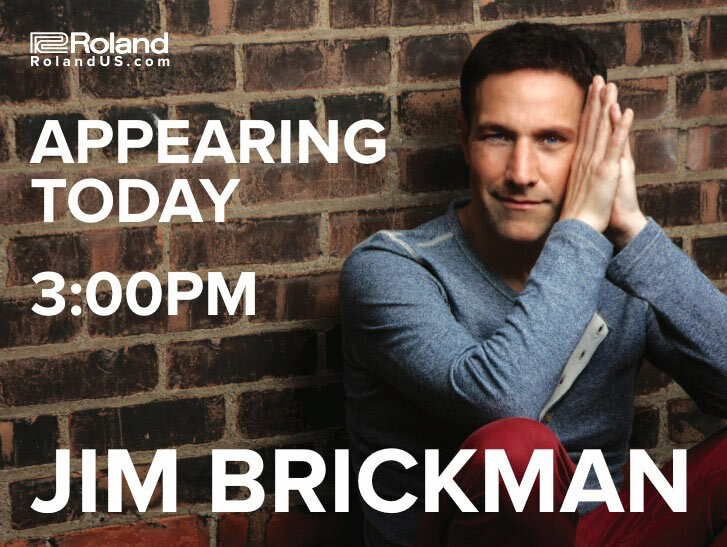 Another MTNA conference highlight was a special schedule of artist appearances featuring chart-topping pianist Jim Brickman. The highly influential musician is an official Roland piano artist, and a huge supporter of music education. Get more information on Roland’s extensive piano lineup at the Roland U.S. website. If you’re a music educator or student and want to learn more about the many education features in Roland products, please visit our dedicated music education website. With nearly 22,000 members in 50 states—and more than 500 local affiliates—the MTNA is the preeminent source for music teacher support, where members embody like-minded values and commitment to their students, colleagues, and society as a whole, while reaping the rewards of collaboration, continuity, and connection throughout the lifetime of their careers. To learn more about the MTNA, visit their website.